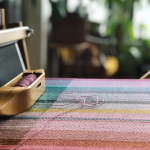 Registration is now open and members may apply to participate in Saturdays at the Center, a weekly pop-up shop program held seasonally at the Center for Maine Craft in West Gardiner. 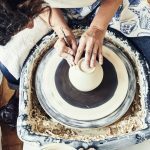 Center for Maine Craft pop-up shops are scheduled during busy tourism and holiday seasons to provide members with exclusive promotion of their work. Available to MCA Basic & Professional members, these pop-up shops allow Maine artists & craftspeople to engage new customers, display seasonal and personalized merchandise, promote brand awareness and expose new inventory not typically available in the Center for Maine Craft.